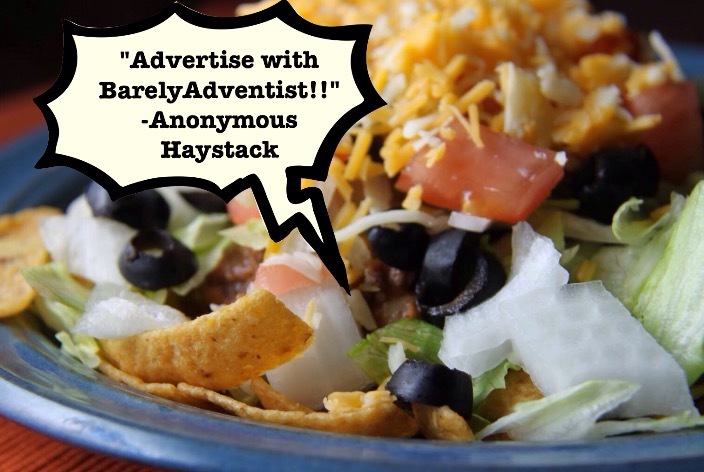 Adventist Publishing Want to advertise to 40,000 Adventists? BarelyAdventist can help. 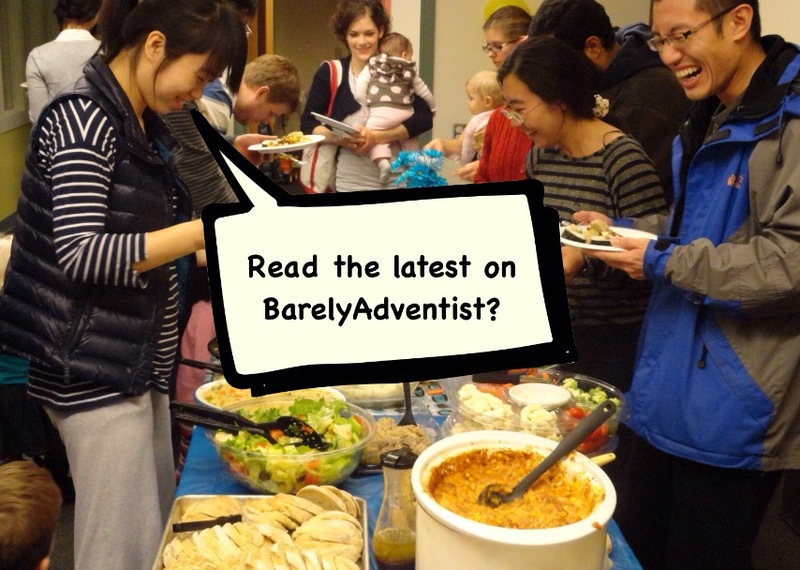 We've had a lot of people asking about how to advertise on BarelyAdventist lately so we thought it was time to put up a page with some basic info on our menu bar. The short of it is, BarelyAdventist reaches 40,000 Adventists and their friends (and counting) monthly by cutting through the noise with a distinctive humor and satire voice. We are trying to build bridges and bring the Adventist community together over stuff we can laugh about, pray about and discuss as we grow. We are huge fans of the BarelyAdventist community that buzzes with laughs, questions, comments and reader-submitted jokes in the blog comment section and on social media. If you have products or services that are designed with Adventists in mind, we would love to partner with you to get the word out. Here, again, is our first-ever advertising page! “Nothing except the U.S. Mint can make money without advertising.” (Thomas Babington Macaulay). “And now a word to our sponsors”: when sevvy is happy, the readers are happy. When the readers are happy, the sponsors are happy. The more readers there are, the happier everybody is. Share BarelyAdventist and let the good times roll! Will the ads be as funny as the stories? You should require all ads to feature clever satire or parodies. If only this opportunity had been available a few months ago; I might have won the nomination. But it’s never too late. Memo to beleaguered staff: Contact BarelyAdventist ASAP. Red is the new black. Green is the new blue. BarelyAdventist is the new Google. Now I know how I can stop Hellary. . . . Tramp is the new President! A distinguished gentleman approaches the Pearly Gates. “So, a lot of people did that, but they’re not getting in,” replied St. Pete. “Yes, but I didn’t just read the stories, I also read the ads,” the man exclaimed. There was even advertising in the Bible. How about: “Render unto Caesar that which is Caesar’s?” That could have been an ad from the Roman IRS. You know how some kids are a bit odd, all they do is read the encyclopedia and dictionary? Well I was sort of weird like that; all I did was read advertisements. And I turned out okay; very successful, in fact. And the good thing is, sevvy does everything legally and lawfully — unlike someone I know. . . .
Sevvy. you ought to share the ad-revenue dividends with your anonymous readers. I say your new ad campaign needs to reach 144,000. If everyone carries a sandwich board around town, we can reach the masses in no time. If I am compensated enough, I just might wear one here in town. Richard, this is a fabulous way to get the word out. I will join you with a sandwich board. Maybe we can also have a sandwich together for lunch. I want an ad with me in a swimming pool filled with all kinds of Little Debbies. “Float Your Way to Heaven” . “Eat Little Debbies at the mile long table in the Kingdom”. It should go without saying (so why am I saying it?) that any wine advertised here must be of the vegetarian variety (or the vegan variety for the really strict SDAs). I’m a really strict SDA, so I’ll take the vegan variety. 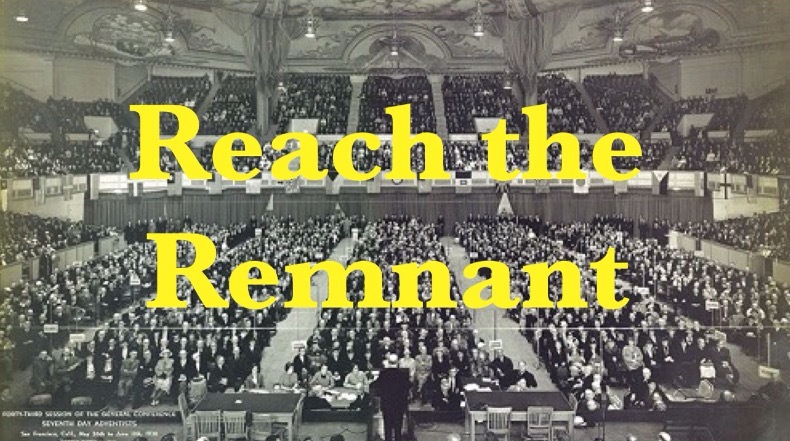 That’s a cool picture above about “Reach the Remnant.” So sponsors will touch a piece of cloth? Why should they pay to do that? Why not just reach a piece of cloth in their own home? I’m so confused. . . . 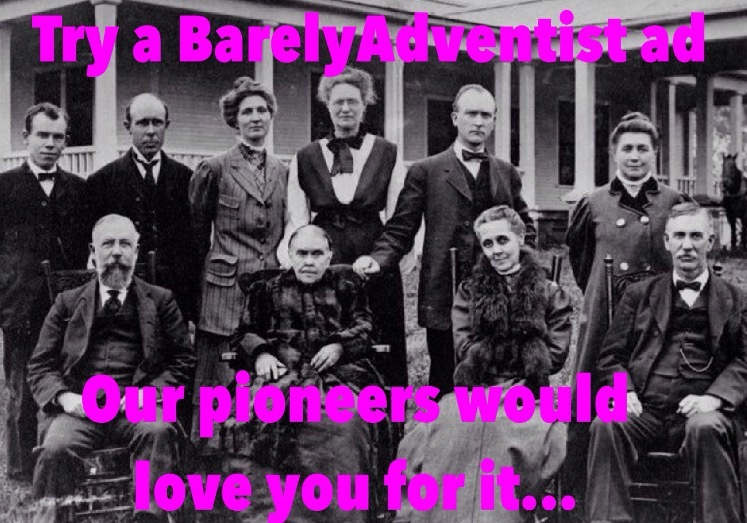 The meme at the top of this page says our pioneers would love you for buying an ad on BarelyAdventist. Yeah, they all loved the Internet. They used it even before Al Gore invented the Information Superhighway. Q.: Did Ronald Reagan use hair coloring? A.: Only his advertisers knew for sure. LOL! You commenting folks are really funny. Never thought anyone could make so many jokes about the simple, dry subject of advertising.